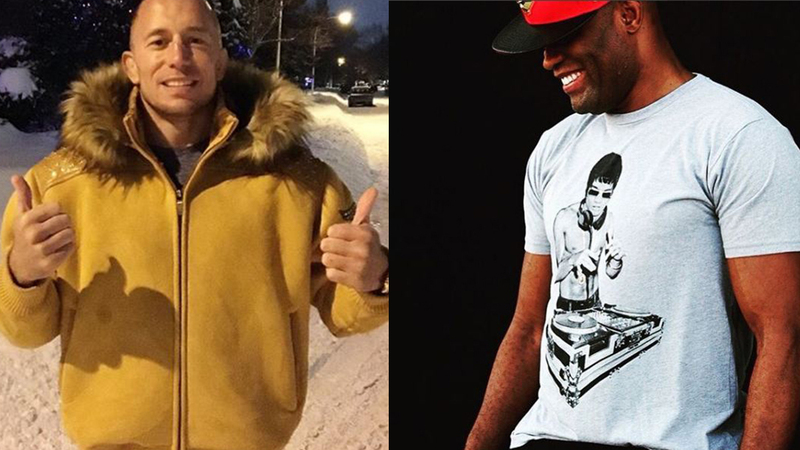 Georges St-Pierre and Anderson Silva are the legends of UFC. Both fighters were the most dominant champions in their weight classes. “The Spider” is the owner of the longest title reign in the history of UFC – 2,457 days! He is a former eleven-time UFC Middleweight champion! Anderson Silva was on the throne from October 14, 2006, to July 6, 2013! Silva is also the owner of the longest UFC winning streak with the score of 16! The Brazilian is also the only man who put nine rivals to sleep in a title bout! Georges St-Pierre is a former twelve-time UFC Welterweight title winner, who earned one Middleweight title too! He fought 15 times in a title bout. He shares that record with the legendary wrestler Randy Couture. “GSP” is also the man with most total fight time in a title bout – 4:14:28. When Silva ruled 185-pound weight class, “Rush” was the king of -170. Today, the Brazilian is a Middleweight contender, and he is set for the clash versus Israel Adesanya at UFC 234, on February 10, 2019. Georges St-Pierre? It is rumored his fight versus Khabib Nurmagomedov is in works for 2019 PPV event. Despite Anderson Silva respects the Canadian, he thinks St-Pierre stays away from real challenges. Do you think Georges St-Pierre Vs Anderson Silva might happen in the future? Previous articleBreaking News: Ben Askren Vs Robbie Lawler Official For UFC 233!